Xiaomi is currently preparing to launch two new flagship products, which are set to arrive on the market as the Mi 5 and Mi5 Pro. Specs of the two models have also made their way online, indicating that the first version will be powered by a Snapdragon 810 chipset, while the second will be the first handset to make a debut on the market with a Snapdragon 820 under the hood. 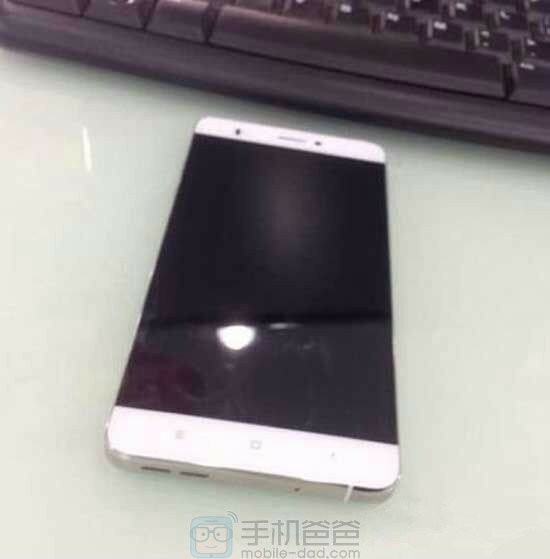 If you have been curious to see what the Xiaomi Mi5 will be all about, this week, the folks at Chinese blog Mobile Dad are treating us to a couple of spyshots of the device, which reveal an edge-to-edge display. Following the market trend nowadays, which tends to obliterate bezels, the Mi5 will also arrive with ultra slim, almost imperceptible bezels. Apart from that, Xiaomi maintains the design we are accustomed to, including the trio of capacitive buttons living at the bottom of the device. 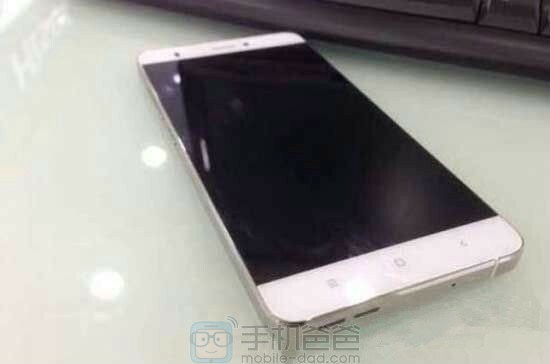 According to the rumor mill, the Xiaomi Mi5 will be the beneficiary of a 5.2-inch LCD display with Gorilla Glass 2.5 coating and taking advantage of 2560 x 1440 pixel resolution. The device has a 16MP primary camera alongside a very capable 13MP selfie shooter. There aren’t a lot of phones equipped with such a powerful frontal camera available on the market, apart from the Desire EYE from HTC, which boasts a similar configuration. Xiaomi Mi5 is sustained by a 3,000 mAh battery and will take advantage of quick charge support, which will allow users to juice up 30% of the battery in just 40 minutes. The phone should arrive with Xiaomi’s next MIUI 7 interface based on Android 5.1 Lollipop. There are a few concerns that Xiaomi’s flagship will also suffer from overheating issues, due to the Snapdragon 810 chip on the inside. Previous rumors would have us believe that Xiaomi was thinking of utilizing the Snapdragon 820 for both models, but it appears this is not the case. Qualcomm’s next-gen architecture will start shipping out in December, so it appears Xiaomi will not be unveiling the two phones at the same time. When should we expect the Mi5 to make an appearance? Maybe on August 16, when the company is poised to announce new products, deals and promotions. We’ll keep an eye out and inform you as soon as more information on the matter is available.